The Catholic church hasn't been having a great time as of late. They have, however, lately suffered a very unfortunate mishap that probably could not have been prevented even though it absolutely could have done if somebody had just had a bit of common sense but sure look. 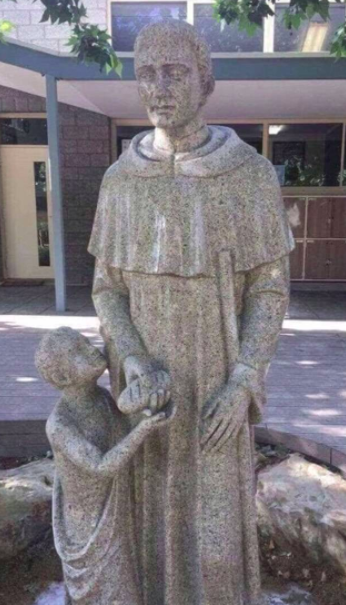 The mishap comes in the form of a statue that was erected outside a Catholic school in Adelaide. The statue shows (or is supposed to show) a saint giving a loaf of bread to a little boy. However, it looks a little bit (or a lot, to be honest) like he's giving him something else. A lot of people okay-ed that. Somehow. A lot of people also noticed the statue was a bit, let's say, suggestive... Leading to it having to be covered up by the school. 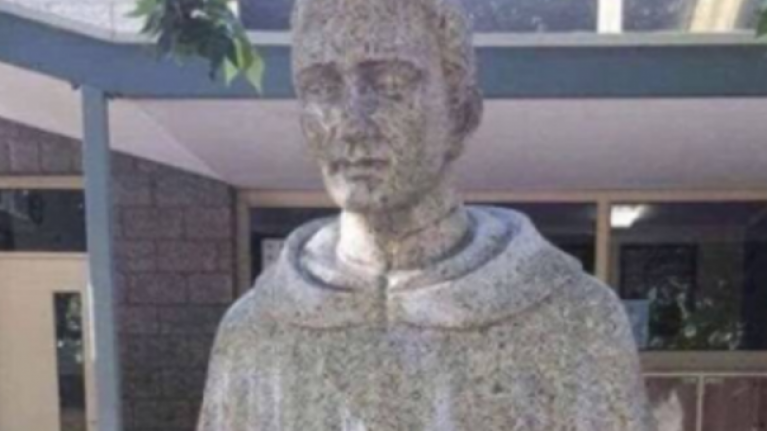 Even though placing the statue behind a curtain (somehow) makes it look a whole lot worse, we do appreciate the effort the school have gone to in order to retain the innocence of their students. Though hiding it so obviously is probably not the best call if you want people to not pay attention to it. And oh did people pay attention to it. It's extraordinary that at no point between chiseling the marble to, well literally erecting the statue, not one person paused and said "Really, that's what you're going with?" Is that a baguette in your cassock, or are you just pleased to feed me?